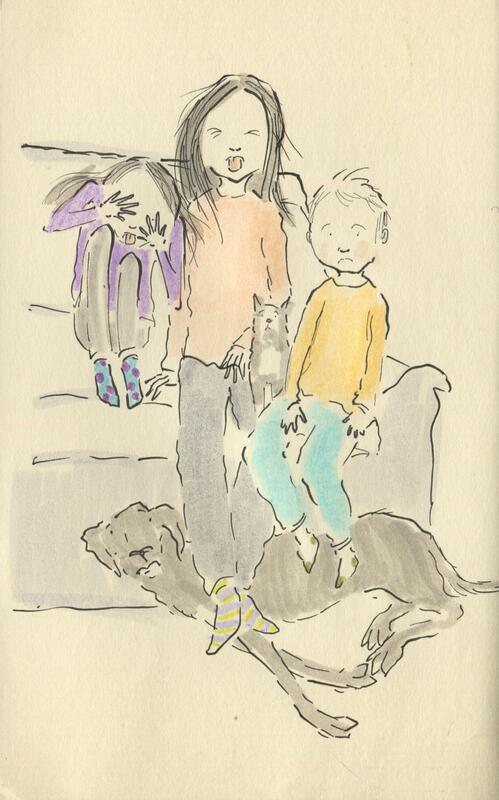 Posted on January 18, 2014, in Uncategorized and tagged Birthdays, cats, Children, Dogs, Doodlemum, Drawing, Family, Figure Drawing, Humour, Illustration, Kissing, Life, movies, Pen and Ink, Siblings, Sketchbook. Bookmark the permalink. 8 Comments. Even the pets look appalled! Our lot call it face eating. Just you wait till your eldest brings home her first spotty oik. That was me last night….at 31! I think you’ve traumatised Bonnie- poor dog !